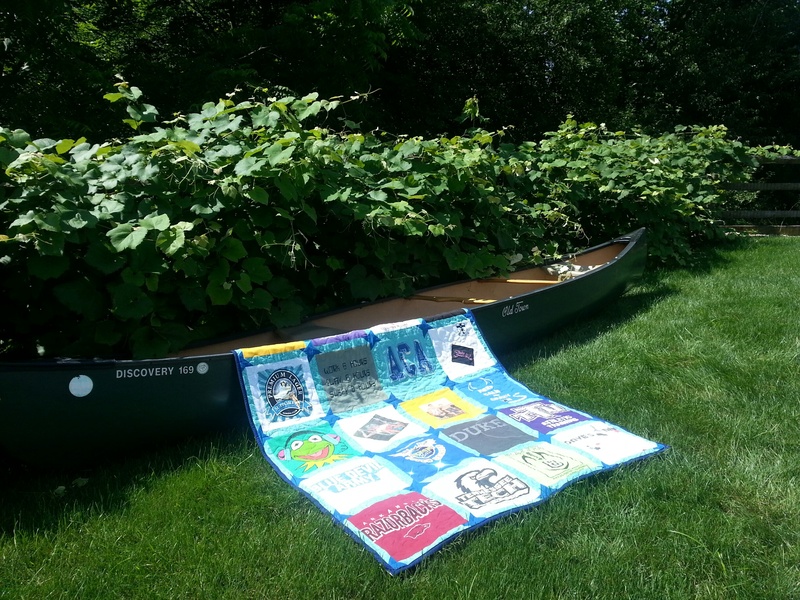 Oh, the Places Quilts Will Go! 20 States, 4 Countries, and 4 Continents! It makes me smile to know that my quilts have traveled all over the world. 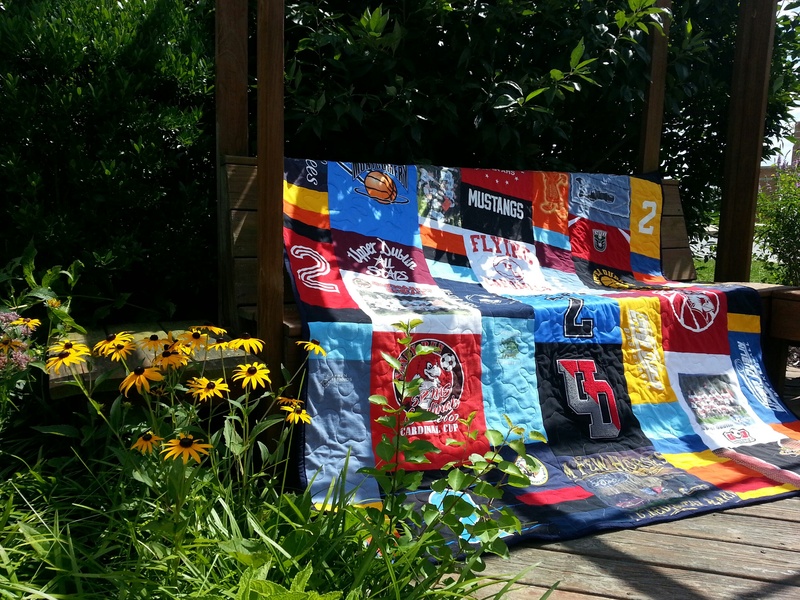 People from four continents are wrapped in my premium, handmade quilts AND their precious memories! 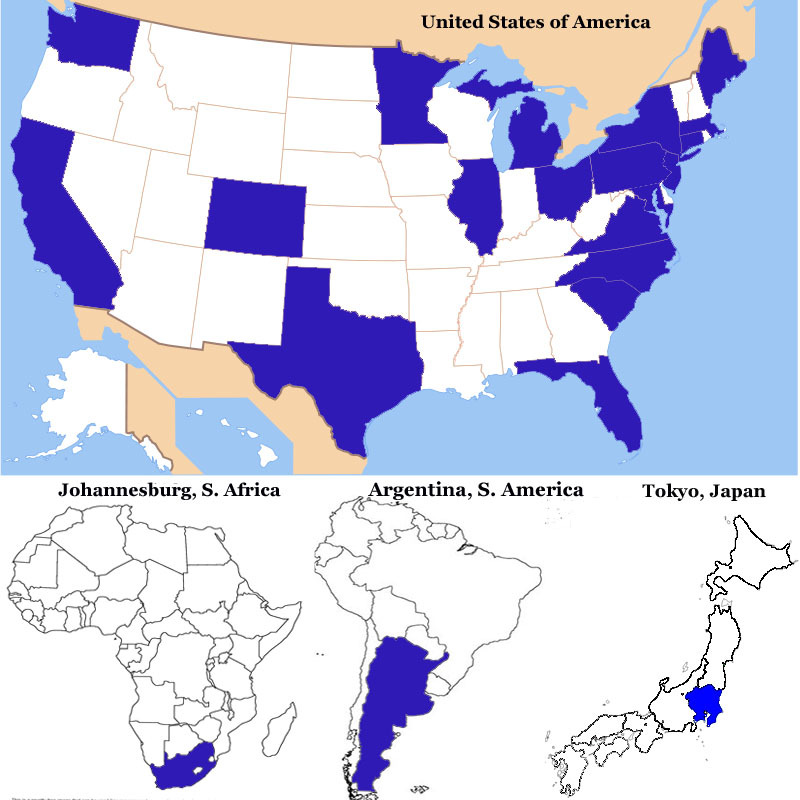 All of the places shaded in blue in the maps below have ordered a Memory Quilt! I wonder where the next quilt will go! If you are interested in a Memory Quilt, please contact me ASAP. Quilts are taking about 12-16 weeks due to the amount on my schedule. They are beautiful and worth the wait! I guarantee it, but please plan accordingly-especially as the holidays approach. The T-shirt Turns 100 this year! Yes, 100 years ago the t-shirt was created by the United States Navy. In its 1913 uniform regulations, the Navy wrote the "light undershirt shall be of the lightest-weight cotton consistent with durability . . . it shall have sleeves only long enough to cover the armpit." In 1938 t-shirts sold for 24 cents in the Sears catalog! It was in the 1951 film "A Streetcar Named Desire" when Marlon Brando turned the traditional undershirt into a fashion phenomenon. Still today, our love affair continues with this cotton shirt! 87% of Americans say that they have t-shirts that they cannot part with! Most popular t-shirt of all time: I heart NY!